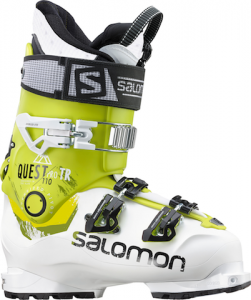 Salomon have let the skiing world have a look at what’s on offer for NEXT season, even although this one is only just under way. These are Salomon’s words, not ours, but hopefully we’ll get our hands on some for test at some point. We’re not sure how complete this range is, but we do notice nothing new in the BBR range. That means either it’s the same as this years, or perhaps it’s been dropped. We’ll confirm when we know more. The Q BC Lab’s full length, poplar woodcore, CFX Superfiber and honeycomb tip keep things light on the way up, while its full sandwich sidewall and utility rocker ensure a steady and strong ride down. The Q-85 is a rock solid carver on the frontside of the mountain with the added manoeuvrability of Utility Rocker to access fresh snow and new terrain on the backside. The Q-83 Myriad offers comfort and control on piste and the versatility and ease of use to explore new terrain off piste. 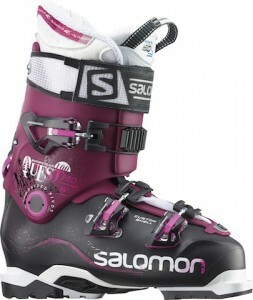 With utility rocker and hook free taper, the Myriad is the latest addition to the women’s Quest range. Unmatched performance in the park and innovative construction for bomber durability. Ride what the pros ride with the NFX Lab. Built on a super versatile 88mm platform, with All-Terrain Rocker 2.0 and reinforced with a carbon X-Chassis and RKS for power and precision, the X-Drive 8.8 FS blurs the line between high performance frontside carver and backside shredder. The most versatile ski in our women’s frontside collection, the all new Quartz gives maximum control, confidence and manoeuvrability to demanding female skiers who are looking to tackle the whole mountain. Performance optimised for women. 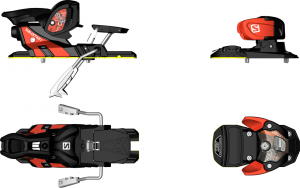 The W-24 has the stability, quickness and edge-to-edge grip to rip apart even the most challenging terrain, while Carve Rocker and a semi-twin tail give the W-24 the forgiveness and control to ski fast all day long. The newest addition to the Rocker 2 family, the Rocker 2 100 features twin rocker shape, full woodcore and full sandwich construction making it equally at home in the park and pipe as it is on search and destroy missions for fresh powder. 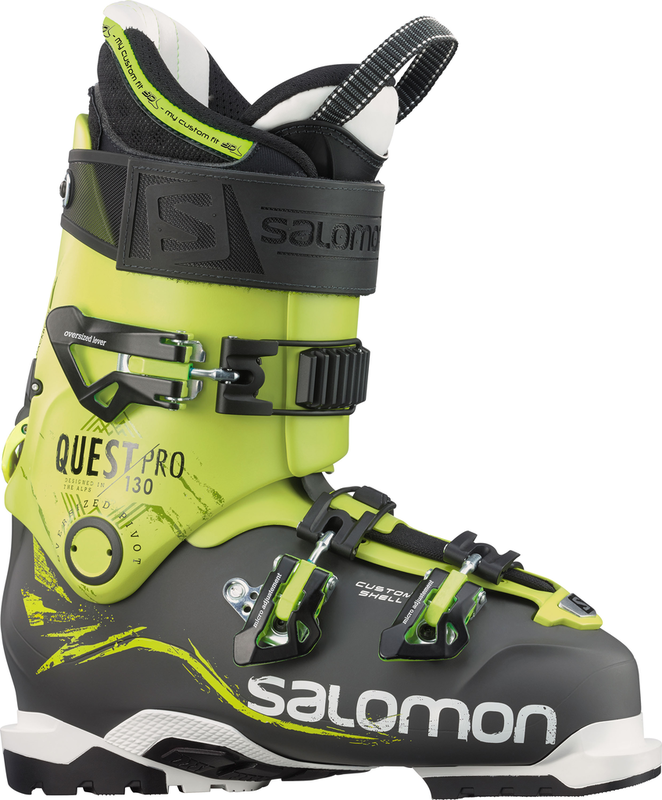 Salomon’s top performing hybrid boot, the new Quest Pro 130 is lightweight, completely customisable and offers a great range of motion while still delivering downhill performance for skiers who love to ski hard and fast in the backcountry. Built for aggressive skiers on a permanent powder search, the Quest Pro TR 110 delivers superior fit and skiing performance with lightweight and touring convenience that can be seen in the 47 degree range of motion. 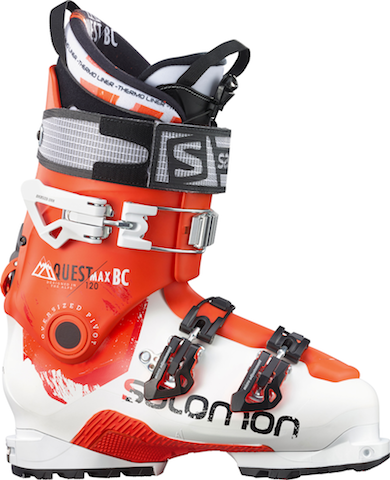 For demanding freeriders who put a premium on downhill performance the Quest Max BC 120 delivers lightweight, exceptional rearward support and lateral transmission and 44 degree range of motion for easier backcountry convenience. The ultimate hybrid boot for hard skiing women, the Quest Pro 100 W is lightweight, completely customisable and features great range of motion for hiking or touring, all with a women’s specific fit. Featuring improved precision and maximum cushioning, the Ghost FS 90 is the result of the evolution of Salomon’s ground breaking SPK boot. Multi norm certified, the Warden is TUV certified to be adaptable to ALL boot sole types (DIN, WTR, Touring). Strong and precise, smooth and progressive, the Warden features a low profile chassis, steel housing, freeski brakes and is WTR certified . 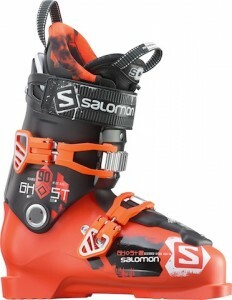 The perfect all mountain ski for juniors who are progressing at a fast rate. Beware, the next thing you know he’ll be passing you by! A great junior ski for girls looking to discover the mountain and progress quickly.